Stochastic local search (SLS) algorithms are among the most powerful techniques for solving computationally hard problems in many areas of computing science, operations research and engineering. SLS techniques range from rather simple constructive and iterative improvement algorithms to general-purpose SLS methods, also widely known as metaheuristics, such as ant colony optimization, evolutionary computation, iterated local search, memetic algorithms, simulated annealing, tabu search and variable neighbourhood search. In recent years, it has become evident that the development of effective SLS algorithms is a complex engineering process that typically combines aspects of algorithm design and implementation with empirical analysis and problem-specific background knowledge. The difficulty of this process is in part due to the complexity of the problems being tackled and in part due to the large number of degrees of freedom researchers and practitioners face when developing SLS algorithms. This development process needs to be assisted by a sound methodology that adresses the issues arising in the phases of algorithm design, implementation, tuning and experimental evaluation. In addition, more research is required to understand which SLS techniques are best suited for particular problem types and to better understand the relationship between algorithm components, parameter settings, problem characteristics and performance. 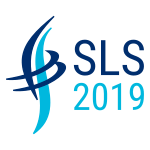 The SLS 2019 workshop (https://sls2019.sciencesconf.org/) will give researchers interested in the principles and pra practice of the design, implementation and analysis of stochastic local search algorithms, with a focus on automated algorithm design and analysis approaches, the opportunity to meet, to present their latest research, and to discuss current developments and applications. The two-day workshop will be held in Lille, France, on 12-13 September 2019.